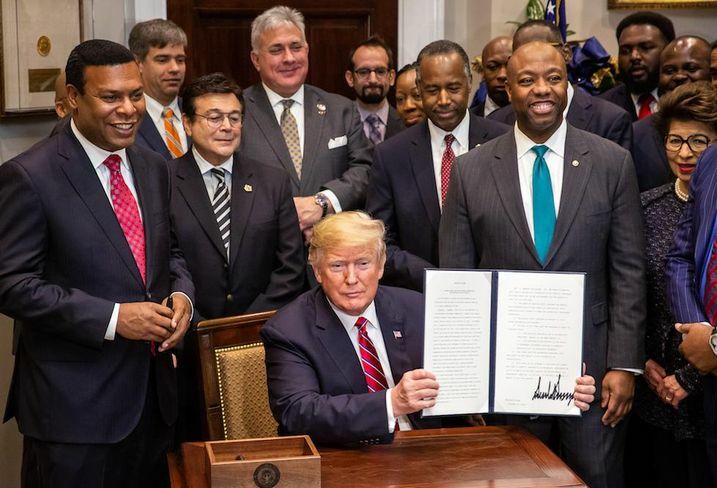 Opportunity zones have become the darling of real estate investors since their adoption last year, but the still-under-the-radar program is poised to receive a lot more attention, and possibly scrutiny after it was promoted in the Oval Office last week. President Donald Trump’s signing of an executive order to push more federal resources into the Opportunity Zone program is a step in the right direction and could bolster the little-known tax incentive program and the distressed communities that benefit from investments, experts said. “I think investors in the marketplace are going to be excited that there are going to be a number of new federal benefits aligned to these zones,” Develop founder Steve Glickman said. Glickman is a former Obama administration official and one of the original architects of the Opportunity Zone program, which was enacted as part of the Tax Cuts and Jobs Act of 2017. Erik Marks, a Seattle-based commercial real estate attorney and founder of Opportunity-Funds.com, a website that tracks opportunity zone funds and designated areas, said the executive order still does not address the current shortcomings and problems that are present from people trying to do opportunity zone deals now. For the past year, the at-first unheralded Opportunity Zone program, passed last year as part of Trump’s $1.5 trillion Tax Cuts and Jobs Act, has flown under the mainstream radar. The program’s goal is to generate economic development in the form of the redevelopment or the development of market-rate housing, affordable housing, new offices, retail buildings and businesses in these communities.